The iPhone 5S release date has pretty much been every month in 2013 so far, before settling around the September mark. However, Citigroup’s Glen Yeung points out production cuts for Apple in periods throughout the year, which give an indication that the iPhone 5S has been pushed back for an October release. 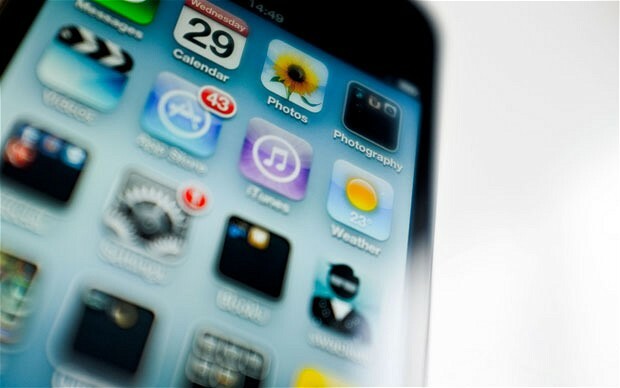 iPhone 5S – S for Screen delay? The delay is said to be down to display issues which as a result has delayed the release of the iPhone 5S for around two to four weeks from the original schedule of a September release. We’ve heard before that Apple plan on almost doubling the pixel density of the iPhone 5S screen in order to compete with the likes of the HTC One and its 1080p screen. Sources state that based on field work conducted in the hardware supply chain, Apple has forecast 80M-85M iPhone builds (combined iPhone 5, iPhone 5S, low-cost iPhone, iPhone 4S) in late 2013 to its suppliers, which is consistent with the findings of previous reports from a Citi’s Taiwan-based technology team. However, it seems contradicting sources state that this forecast is inaccurate with some estimations predicting a range of 65-75 million units. This prediction is significant as usually when a new iPhone model is released, Apple increases its production unit orders significantly. A reduction in these numbers suggests that no such iPhone is in the works in the expected timeframe. As a result, it would seem that the iPhone 5S has been delayed, by which sources predict is around 2-4 weeks from the originally expected September release date. Whilst it doesn’t rule out a release date in September for the iPhone 5S, it would represent a significant struggle for the production line and could result in stock shortages if the iPhone 5S was released in September. Yeung also highlights that the iPhone 6 is still expected in the first quarter of 2014, but would Apple release two devices so close together? Well if recent speculation is anything to go by, it suggests that actually the iPhone 5S is really the budget iPhone, with the iPhone 6 being the next high-end smartphone to precede the iPhone 5. If the iPhone 5S is delayed, this is likely to also delay the release of iOS 7, expected to be shown off today at WWDC 2013, as Apple wouldn’t release a major release of iOS without a flagship device to go along with it. What do you guys think? When do you think the iPhone 5S will land? Let us know in the comments section below.